Anyone looking for a player? Well Fin - I'm a little surprised that nobody seems to have contacted you yet. There must be many teams in your area that would be interested, at least in giving you a try. Visit one or two clubs in your area - Redruth United Res are at home to Penryn 2.30pm kick off today. Go watch it, talk to the coaching staff - show an interest. See what they say. 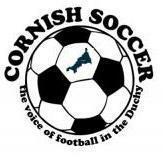 Visit one or two clubs in your area - Redruth United Res are at home to Penryn 2.30pm kick off today. Go watch it, talk to the coaching staff - show an interest. See what they say. Good suggestion Keith. Did you get to a game this weekend Fin? 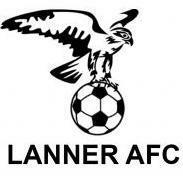 Unfortunately with the lack of teams on Sunday at the minute, the season is almost finished already. Ourselves (Wendron Sundays) have only a league cup semi-final (of our course the possible final) left to play as our league campaign ended 4 weeks ago. We would have been the nearest team to you and we do a have a few Camborne based players in our squad but I'm afraid we don't have any games left to give you. Fin seems to have gone quiet. Fin is Fin king about it!! Well we can only try and help him Fanfare - we tried. May hear from him yet.